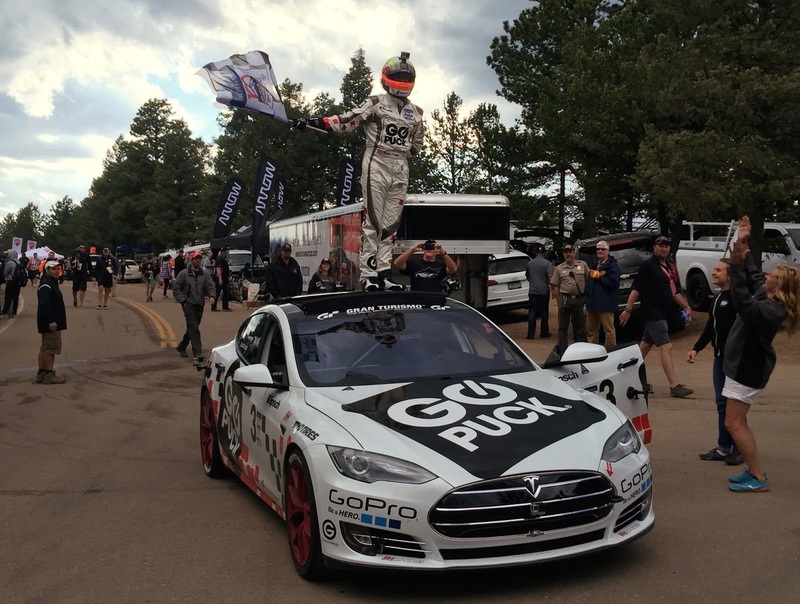 GO Puck CEO and racing driver Blake Fuller set out last weekend on Pikes Peak's race to prove to the world that a stock Model S P90D can compete just as well in the championship climbing up the hills of Colorado. Fuller's intention was to beat - by a fair amount - the previous "Electric-Electric Production" class' record time of 12 minutes 55 seconds across a course of 12.5 miles. Fuller managed do a lap time of 11 minutes and 48 seconds, beating that record by 1 minute and 7 seconds. This class features mass-produced EV's that are readily available to the public with few modifications allowed. His overall position was 65, 3 minutes longer than the best lap by Romain Dumas's modified Norma M20 RD Limited Spec-2016. This is Duma's second year win in a row. Fuller's team was able to trim 800 pounds off the 2.5 tons stock car - second heaviest in the race - by removing interior and airbags while adding a light bolt-in cage and minor safety tweaks. They then selected Toyo's AAA tires capable of handling such a heavy car's impressive grip and massive zero-rpm torque. 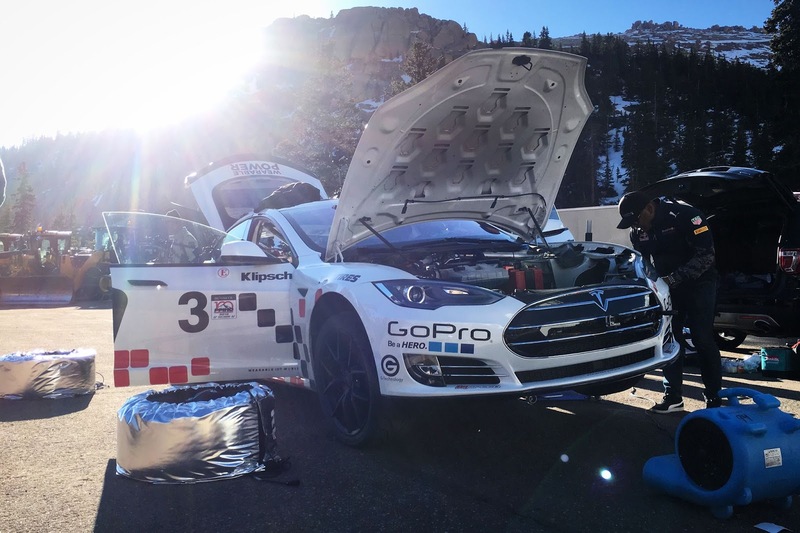 The battery remained untouched, however Fuller explained that he had to be careful in the way he uses its energy in every start to avoid building too much heat while calculating when is the optimal time to do the day's runs. 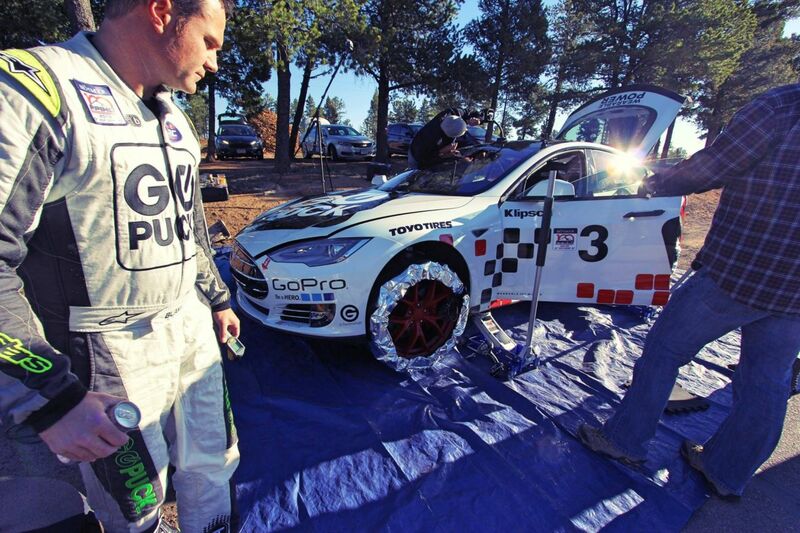 In addition, the team had to resort to cooling the battery during the race by using ice and an electric blower. This car has enough energy to make it to the top multiple times, we could run the entire run three or four times with this car. Having a large battery pack allows us to run the full capability of the system on the other hand, Pike Peak is the equivalent of doing quarter mile drag 20 or 30 times, and the upper section is basically an 8 mile drag over and over again where instead of waiting in line you are literally doing the next drag race back. That creates a lot of heat [on the battery] in the car. The team has even kept a full functioning Autopilot with stock ABS and Traction Control in the hope of experimenting further under difficult weather conditions -- where it outperforms the most. Fuller used stock air suspension to test and learn where the performance limits are while highlighting where the vehicle is today and where improvements are needed in the future. 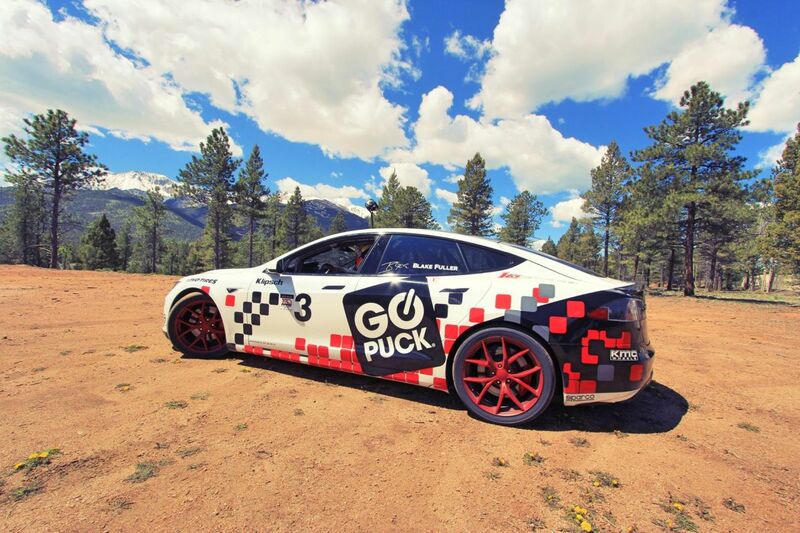 Featured images: Go Puck, Racing News. I'm curious what other production class EVs might have been competing?